Create With Kait is all about finding your inner creative side. I provide a fun, positive and stress free environment that helps to bring out your inner artist. Instead of being “by the book,” I have a simple philosophy that I live by ever since I graduated from Cal Poly. “Learn By Doing” and create whatever you can with one-on-one guidance. Art is fun! I make sure that is my top priority at all times in my classes. For my kid’s classes, I really try to find their passions and personalities and make that come to life through their artwork. I do a combination of guided projects as well as allowing them to really express themselves with any other projects they want to do. 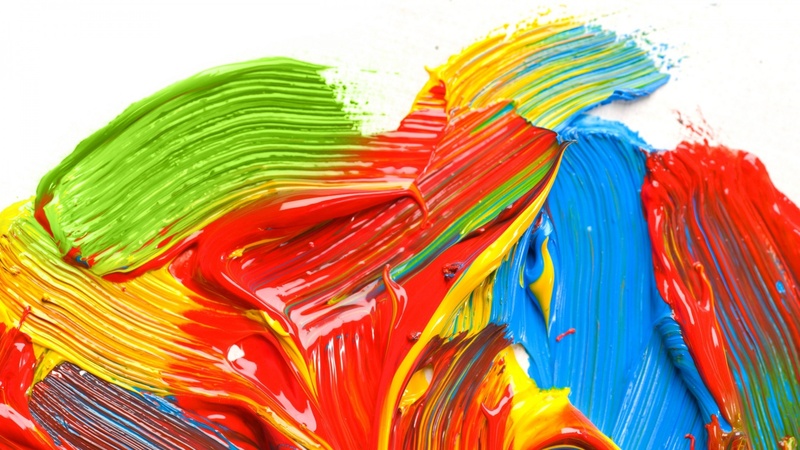 I believe that telling children a right and wrong way to do something in art makes them timid. I want them to know that whatever they create is their masterpiece, and that is something to be proud of. For my adult art classes, I help guide you and your friends on how to paint a specified painting on either reclaimed wood or canvas. I come to your homes and you all become the inner artists that you knew you were! It is a ton of fun to be with your friends and make art together. This is a lovely new shop located in the heart of Pleasant Hill by Casper’s Hot Dogs on Contra Costa Blvd. 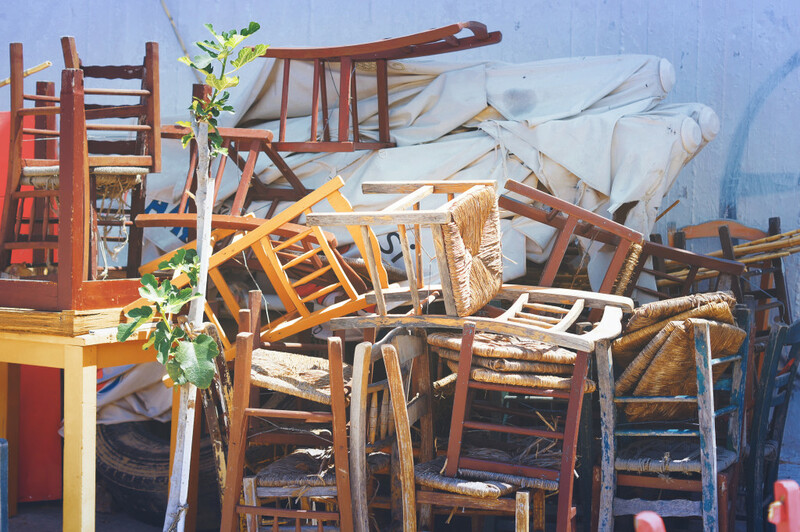 It has a wonderful mix of vintage and new items perfect for giving your space a new look! There are things as small as a pair of earrings made locally, handmade soaps made from all natural ingredients, to wonderfully scented soy candles made in Oakland, to really unique vintage furniture and great home décor items. We work hard to make sure that everything in the store is either made by owner Kait Frisk, talented local artisans or made in the USA. There are so many great gift-giving items that are unique and fun for everyone. The store is always changing and evolving so be sure to check back often for fun new finds and gifts for yourself or loved ones! 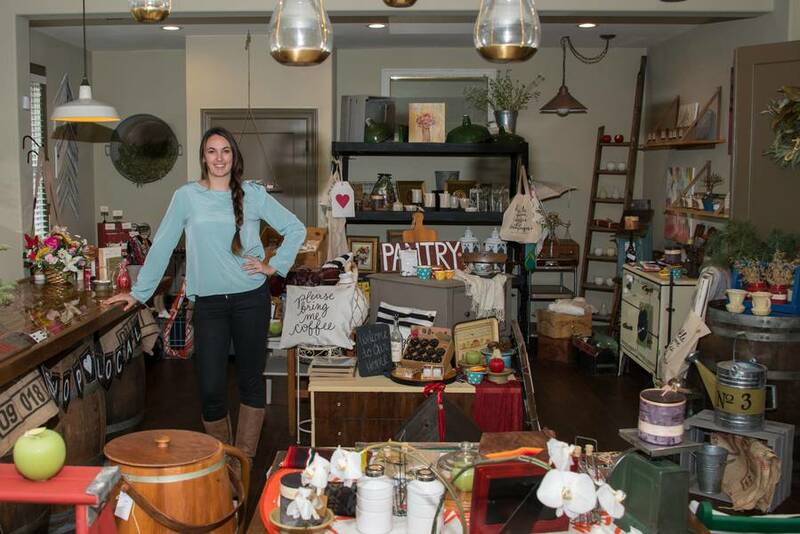 Kait’s also offers DIY workshops, paint parties for kids and adults and open studio time. Owner Kait Frisk, teaches all of the DIY workshops using Dixie Belle Mineral Chalk Paint which is exclusive to Kait’s Art. Vintage. Home. Kait also teaches the paint parties, which can be held at the shop or you can book a private party in your home and we bring the party to you! The fan favorite at Kait’s. Bring in your own piece of furniture that has been needing a facelift, and I will teach you all about Dixie Belle Chalk Paint, show you different techniques and then let you go to town making your “old” piece “new” again! This is another one where space is limited so be sure to sign up fast! All Paint, brushes, and sand paper included. 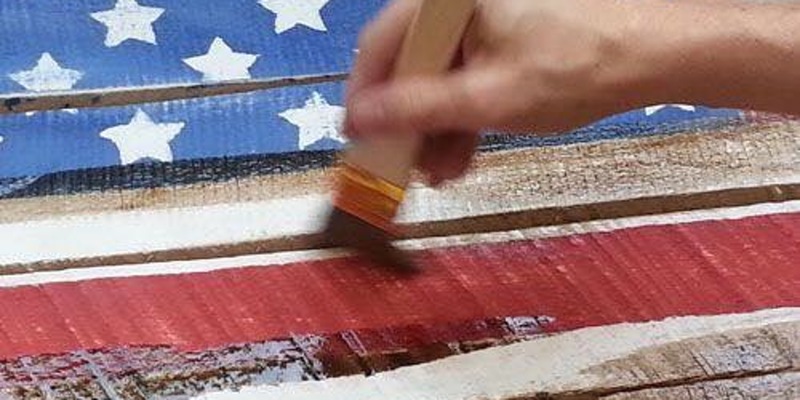 Come on down to Kait's to paint a rustic style American Flag on reclaimed wood. This will be done just in time for all of the fun Fourth of July Celebrations! I love making these reclaimed wood flags because they always turn out so great. We will be keeping them more on the rustic side leaving some exposed wood as the stripes. Don’t hesitate on signing up for this class because space is limited due to the size of the boards that we will be using. Interested in having your own event? 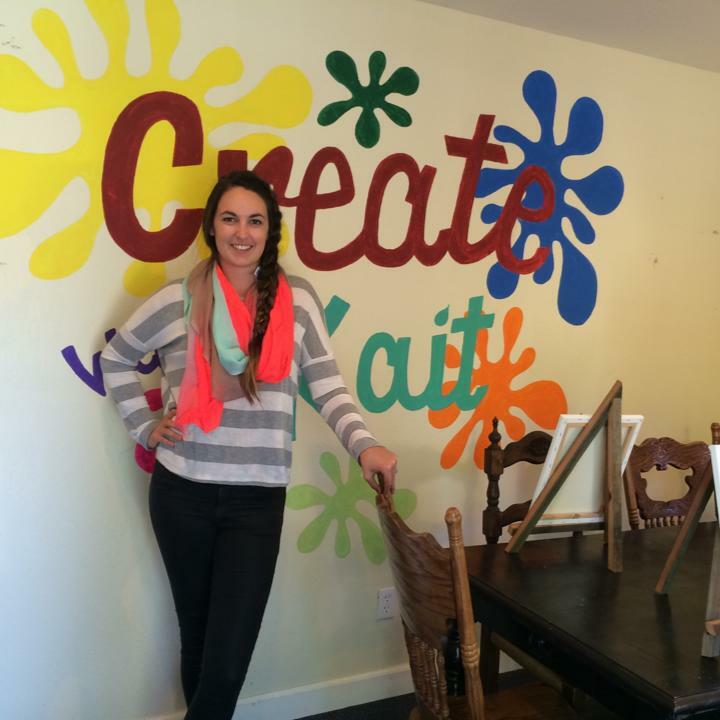 Create With Kait can host your next corporate event or team building workshop! Kait can host a small group in studio, or she can bring the party to you! Whether it is a team building exercise, celebrating an anniversary or retirement party, or just wanting to reward your employees for working hard. This is a great option! Ask her about creating a personalized painting specifically for your event! Birthday parties are always fun, but they are even more fun when you get to go home with something special! Book your next birthday party with Kait to create long lasting memories and beautiful works of art. Kait can host a party in studio, or at a venue of your choosing. My name is Kait Frisk. I graduated from Cal Poly in December 2013. I am incredibly passionate about art, and it has always been my goal to be able to share my passion and love for art with as many people as possible. Being able to teach these classes and bring happiness to people in the form of art is something that I live for. There is something so special and rewarding about seeing someone hold up a piece of their artwork and see their pride and joy gleaming through them. That is what art is all about, finding your inner artist and creating something to be proud of. I have been in many art classes through the years, and some of my favorite ones were the ones that allowed me to really express myself through my artwork. I believe in having guided projects but really making sure that each individual is putting their own personal touch to it to really make it their own. I am happy to answer any questions you may have about having your kids join my classes, getting friends together for a fun painting session or any interest in some of my custom creations.